Ken Jones and Will Weatherford bring global, government and business expertise to steel fabrication company. Tampa Tank Incorporated-Florida Structural Steel (TTI-FSS), globally recognized specialists in steel fabrication and erection, has appointed Third Lake Capital CEO Ken Jones and former Florida House of Representatives Speaker Will Weatherford to its Board of Advisors. They join current board members TTI-FSS CEO David Hale and Field Division Manager Calvin Reed; David Reed, founder and principal of Shepard Capital Partners; and Al Schiff, president of Schiff & Associates. The new advisors replace Richard Wainio, former Port Tampa Bay CEO, who completed his two-year tenure in January, and expand the board membership by one. Mr. Jones and Mr. Weatherford will serve two-year terms on the board. Mr. Jones is CEO and founder of private investment firm Third Lake Capital. Earlier he was executive vice president and general counsel of Communications Equity Associates, a global investment and merchant banking firm. From 1998 – 2006, he held various roles in legal, government and management positions in Washington, DC, including stints as chief legal counsel and deputy chief of staff to former U.S. Senate Majority Leader Trent Lott and as a legal professional at the law firm Patton Boggs. Mr. Jones also served as president and CEO of the 2012 Republican National Convention hosted in Tampa, Florida. He earned a degree in communications with honors from Florida State University and his law degree from the University of Florida. 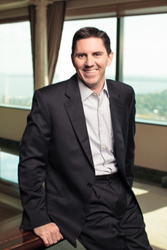 Mr. Weatherford is managing partner of Weatherford Partners, a private equity firm dedicated to providing capital and strategic business advisory services to Florida businesses and individuals. He was the 84th Speaker of the Florida House of Representatives, serving from 2012 – 2014, during which time he was the youngest speaker in America. He advocated social upward mobility through free enterprise and education reform and was a thought leader on such pro-growth solutions as lower taxes, pension reform and free market health care. 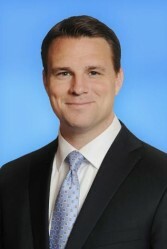 Mr. Weatherford spent six years as board director at Florida Traditions Bank and now serves on the board of Sunshine Bankcorp, the Florida Chamber of Commerce, the U.S. Global Leadership Coalition, and Jobs for America’s Graduates. He is a graduate of Jacksonville University. Tampa Tank Inc. was founded in 1953 and acquired Florida Structural Steel in 1984. The company provides complete design, shop fabrication, shipment, field erection, inspection and testing of welded steel products for the petroleum, chemical, pulp and paper, mining, electric power, water and waste water industries. The company operates across North America, Central and South America, West Africa and the Middle East. TTI-FSS is American Society of Mechanical Engineers (ASME) and American Institute of Steel Construction (AISC) certified. For more information, visit the web site at http://www.tti-fss.com.